Lea, your card is gorgeous. There are so many amazing details on there. Lea this is so beautifully designed. Loving your creative style. Wishing you a fab weekend. This card is simply beautiful!! These dies can be used for so many things!! Can't wait to get my hands on them!! So pretty--I like all the hexagons. wowow is gorgeousssss and elegant!!!!!! really reallylove it!!!!!! I'm fan of all page a long time ago hehehe Kisses!!!! This card is SO pretty! I love the heart doily you put in the background... and those pp are beautiful! ohhhh the card is so pretty and elegant!!! HUgs. Elegant card. You really makes mé needing it All. I really like the colors you used but especially the tags and hexogans in the corners. TFS. A truly beautiful card. Thanks for the chance to win. WOW! What an elegant beauty! Your details and design are amazing! Your cards is very delicate and elegant. This is one serious eye candy. 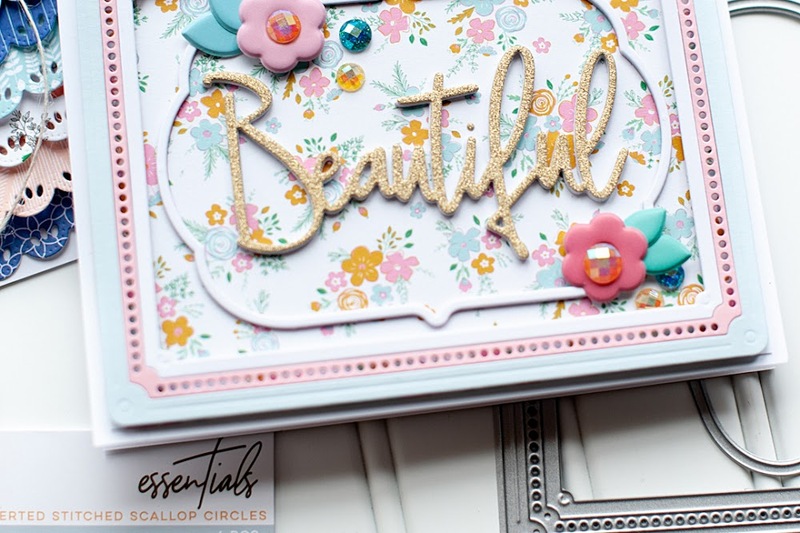 I love all the little details and embellishments on your gorgeous card, Lea. I love your eye for design. Thank you for sharing this today! Your card is gorgeous Lea...love all of the elements!! Oh my...this is just so pretty!! I love all the layers and flower/doily! 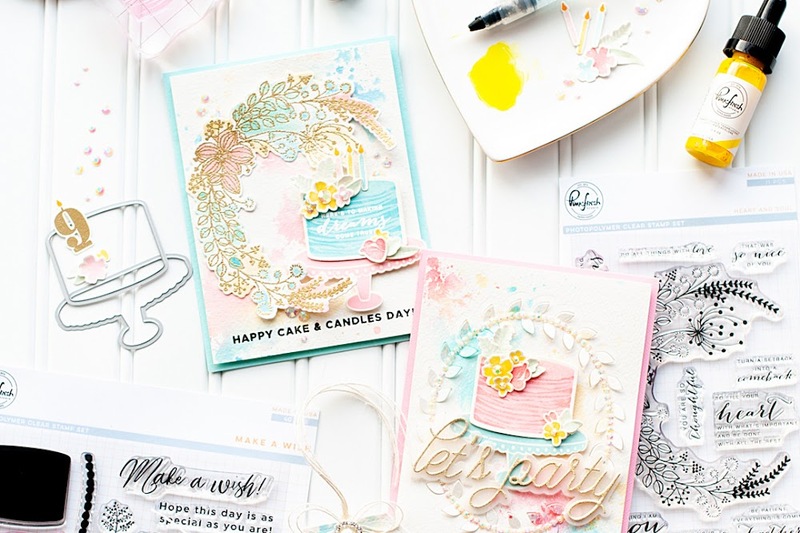 such a delicate card and love all the soft colors! This card is just too pretty! I love how you pulled it all together, the hexagons, little tags, pennants, doily, soft colors, love, love, love. Simply gorgeous Lea! Love all the details! Thanks for playing along with Little Red Wagon! Beautiful card..love the soft colours but also the wonderful ribbon detail and circular sentiment. Beautiful card! I love your layering and all the details to make it special! Lea, this card is absolutely breath taking!! So feminine and soft looking!! Thank you so much for sharing it!!! Very soft gorgeous colors. Lovin this blog hop. Oh what a gorgeous card - it looks like a prize winning scrapbook page with all those beautiful elements. This is absolutely gorgeous. Love all the different elements and all the pretty details. Thanks for joining us at Do You Stack Up. What a pretty card---you have a good eye for colour. OMG--your card is absolutely stunning! Love all the details and embellishing. Beautifully made, your colors are perfect! thanks for sharing with us at TSTR! Love your card from top to bottom. The accents are wonderful. Wow! This is so pretty with loads of fab details. Love the heart doily, the twine bow and little banners! Fab! Lea, I never tire of seeing your creations. :) As always, this is so gorgeous! WOW! this is gorgeous, lots of texture, lots of bling, lots of love and thoughtful time put in this one. ,....love it....thanks for sharing. So much loveliness happening here. Wow what a Super Gorgeous card. I love the layering and the soft Elegant look of this card. love all the Embellishments you have added. 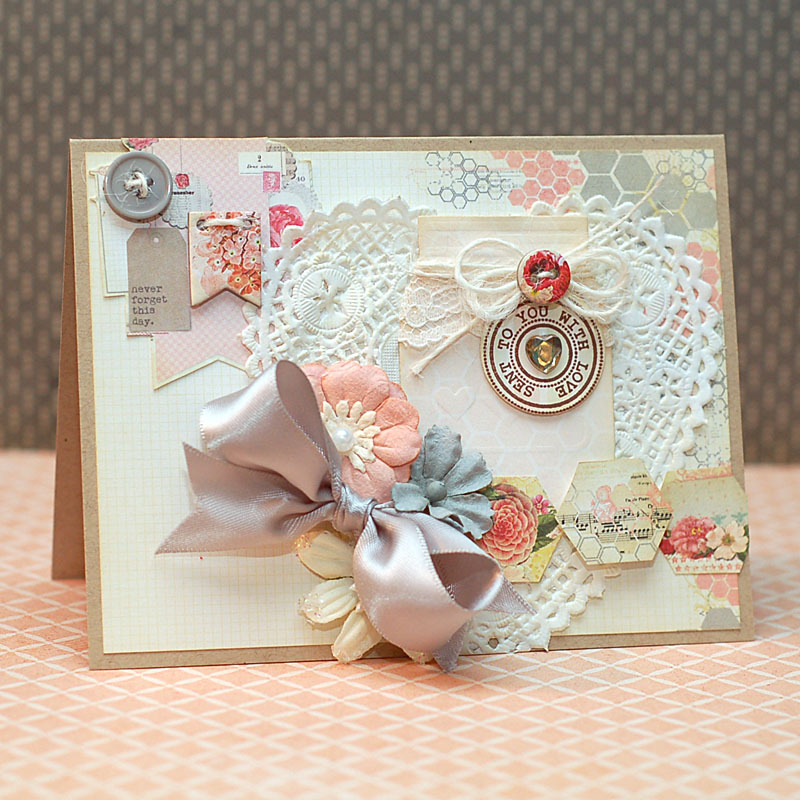 the Octagon stamps and dies look amazing with your Flowers and Ribbon. thanks for sharing and for the chance to win. what a lovely collage card! I love what you have done with the different embellishments. Wow, your card is so beautiful. Love the colors. Beautiful design! I always marvel at how you layer the elements. BTW ... love, love -- LOVE your blog make over!! It's soooooo pretty!!!! How pretty your layered card is! I really love all the texture from the doily, the ribbon, flowers, and even a button. Love everything about this! Your card is absolutely beautiful! Well done! A beautiful card, your design and colours are wonderful, I love the many phenomenal details. I Love your card, love the hexagons, and the jar and the rest of the details as well. Realy fun to look at. Stunning card, such soft and pretty colours! Gorgeous! So many pretty layers! Absolutely GORGEOUS! Love the soft colors, all the texture, and of course all the hexagon elements. Thanks for joining us for the Simon Says Stamp Challenge! Gorgeous card! Wow! Love all of the vintage goodness! Beautiful! Wow! Stunning card! Love all the pretty little details! Big congrats on your win at TSTR! Beautiful!!! 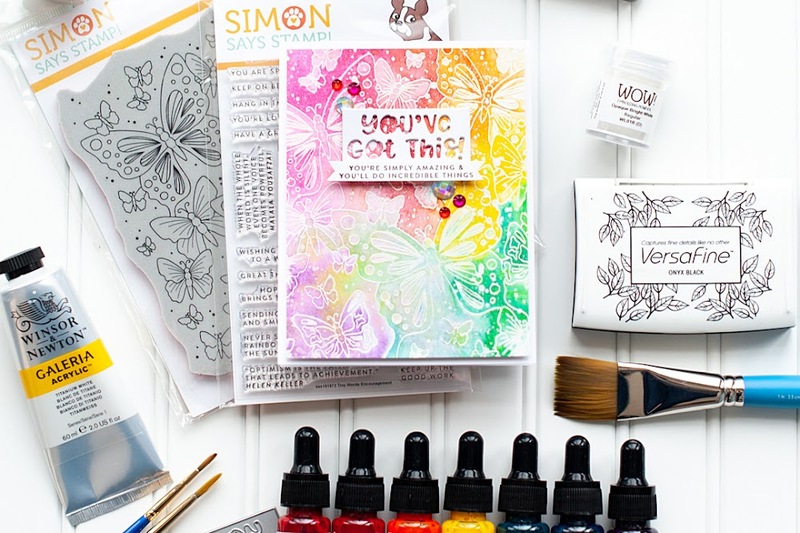 I would love to craft with you...to learn how to layer embellishments and patterns this way would be a craty dream come true for me! Thanks for joining us at DYSU this week! Oh Lea - this is fabulous. The use of that MME is just hot! The colors and the elements are so amazing... I think i'm totally in love with that wee button! :) Thanks for playing along with us at DYSU. Oh my goodness, this is amazing. All of the details and textures are fabulous, Lea! Such a lovely card. Very shabby chic. Thank you for the inspiration. I really appreciate the creativity displayed in your work. Your pieces are so elegant! WOW!!! this card is gorgeous!!!! Love this card, so beautiful with all the soft pastels and hexagons, great contrast between the geometrics and flowers! You have such a delightful creative style ... so many different elements that work so well together! SO CUTE!! Love all the details!! !